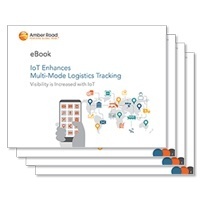 Amber Road’s Supply Chain Visibility solution provides multi-mode in-transit visibility functionality that connects importers and exporters with their overseas suppliers, logistics providers, brokers, and carriers. The network data is enhanced by leveraging project44’s API-based integration layer to achieve carrier connectivity and next-generation data standardization. This level of modern connectivity includes the use of data from IoT devices to replace outdated mechanisms like EDI and/or SMC3 rate bureaus, FTP, spreadsheets, website scraping, and manual processes (phone, email, fax).